Meet the Pabst Blue Reuben sandwich! 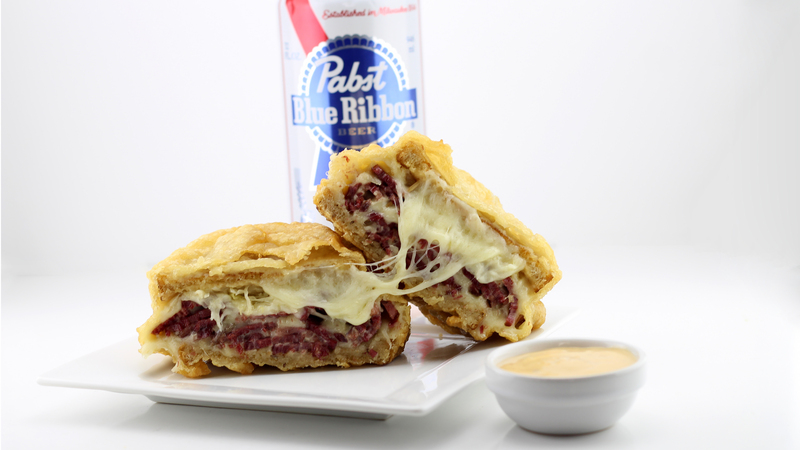 Chalk up one for red, white and blue PBR ingenuity – with the online introduction of the deep beer batter fried Reuben sandwich, dubbed the Pabst Blue Reuben. This thoroughly American concoction is one part Monte Cristo, one part Reuben, and one part state fair food – all fried together in a manner guaranteed to make at least one BMW payment for your favorite cardiologist. Well, our fedora’s off to you, Dude Food, or is it Food Dude, for making this week’s Report. Keep on drinking, and keep on thinking! And if you’d like to know how to make one, Look here.